Time in all its dimensions is the overriding leitmotif of the Lost in Time cycle: past, present and future, lived time, cosmic time, performative time, time travel, the space-time continuum. 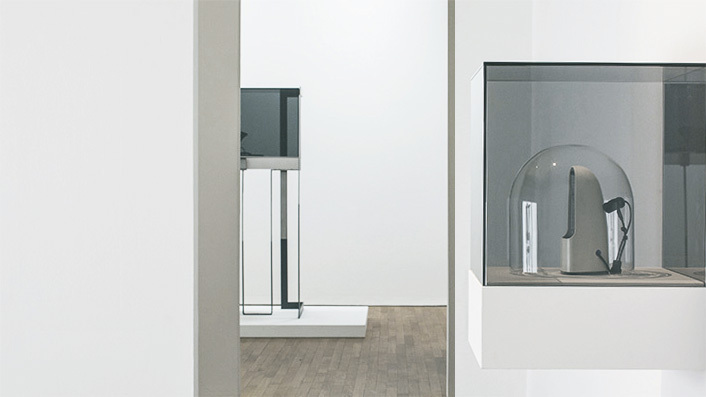 Thus far the cycle comprises over twenty works, including films and videos, audio recordings, sound-based installations, photographic and etched-mirror works, and sculptural objects. At its centre is BW, a watch that measures millennia, its single hand taking a thousand years to make a full rotation. 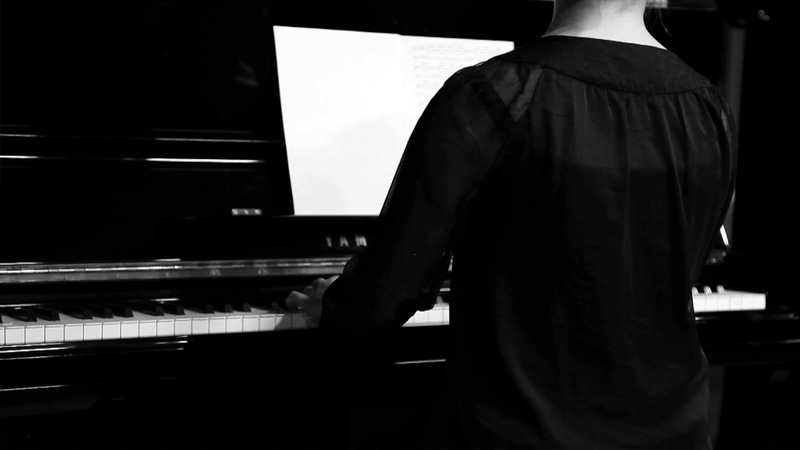 In addition to Lost in Time, a feature-length film completed for the exhibition, and its attendant objects, the cycle includes a series of pieces that take as their starting point Johann Sebastian Bach’s Goldberg Variations, grouped under the title Goldberg Experienced, as well as a nexus of works involving the rotation, transcription and execution of scores by Bach, Debussy, Ravel and Lekeu at 90, 180, 270 and 360 degrees (entitled Piano orbital and 180º). BW (Black Watch or Bernatchez/Winiger) is at the centre of the Lost in Time cycle. Developed in collaboration with a Swiss watchmaker, it may look like an ordinary wristwatch, yet its face shows neither seconds nor minutes nor hours; the single hand will take a thousand years to make a full rotation. In the series Goldberg Experienced, Bernatchez explores Johann Sebastian Bach’s Goldberg Variations (composed around 1740) through various sound and musical experiments. I hesitated before choosing the Goldberg Variations, but not out of fear of taking on something “untouchable.” At first I was more concerned by the fact that this Bach work had already been widely popularized, and exploited. What interested me in addition to its aesthetic qualities was the number of variations (many), their length (short) and the symmetry of the work (aria and aria da capo), which gave me the possibility to create some thirty different piano preparations. With the aria at the beginning and the end, I could see the potential to amplify the melting effect I was looking for. 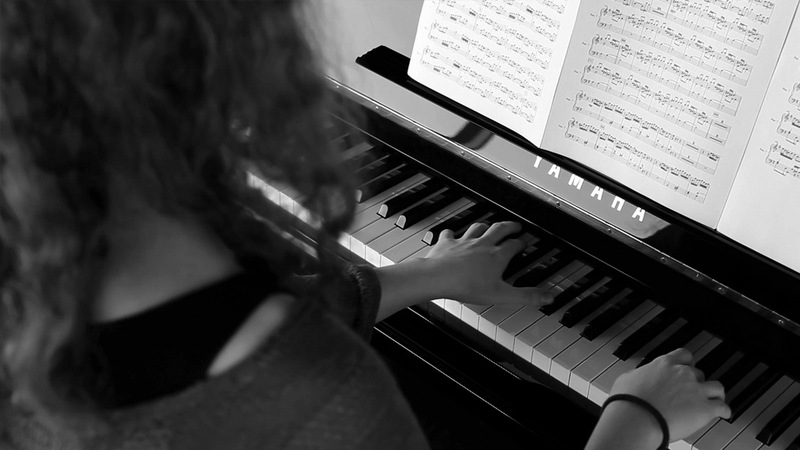 Initially, the idea was to use preparations that would intensify from one variation to the next, beginning with the unaltered aria and arriving at the final variation and the aria da capo with every one of the notes affected. In the first of the Goldberg Experienced works, a prepared piano was altered by Patrick Bernatchez and David Kaplan for each of the 32 Goldberg Variations. 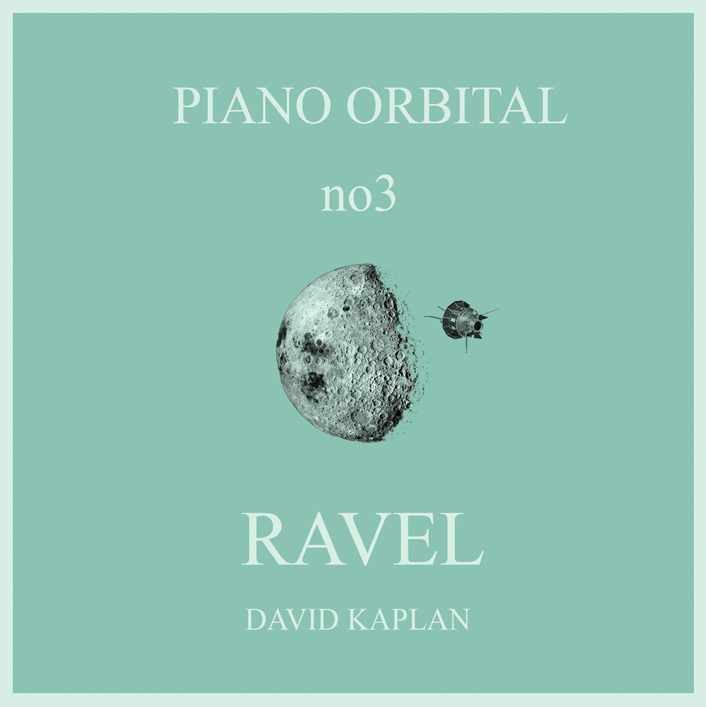 Short video documenting pianist David Kaplan preparing the piano. 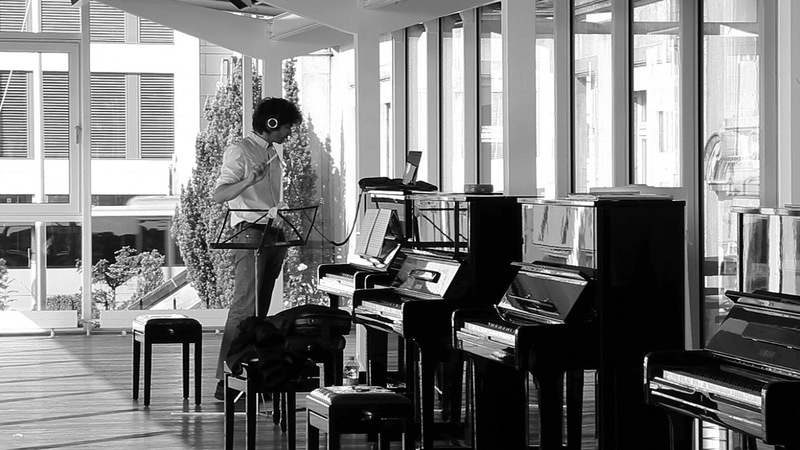 With 77K, 1er, 2e 3e mouvement, Bernatchez employs Glenn Gould’s famous 1981 performance of the Goldberg Variations. 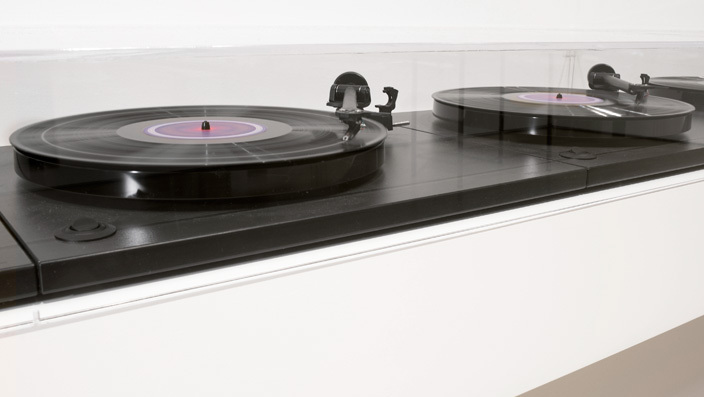 Eight vinyl records play the recording simultaneously, but each plays something different, owing to alterations on the vinyl surfaces. 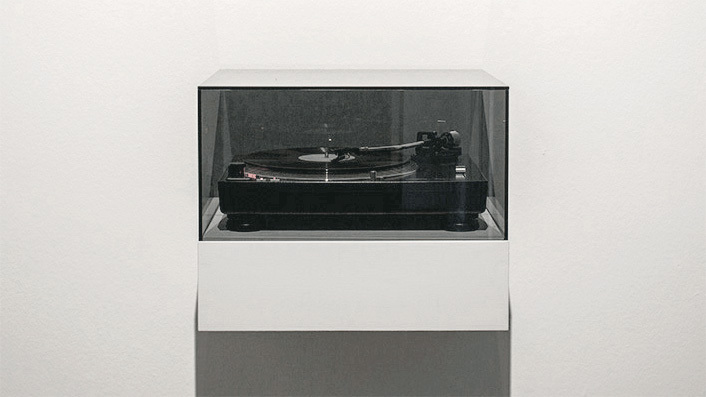 In Goldberg Experienced.04, Bernatchez, in collaboration with composer Patrice Coulombe, draws directly from 77K, 1er, 2e, 3e mouvement (Goldberg Experienced.03), in which eight altered vinyl recordings of Glenn Gould’s 1981 performance are playing simultaneously. 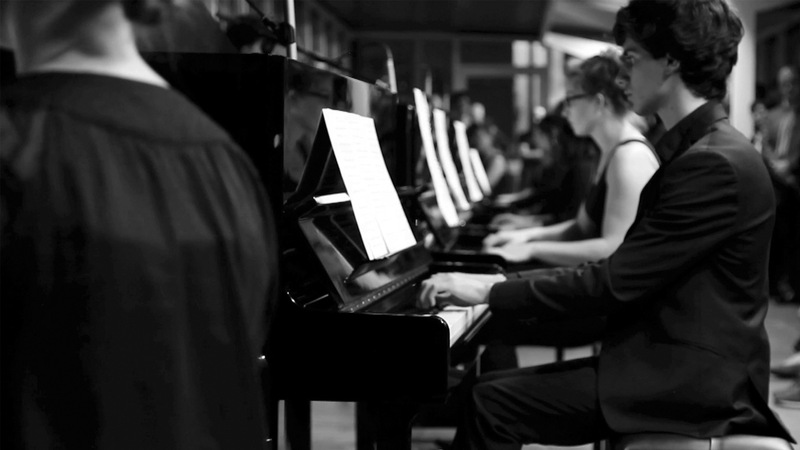 Transposing the piece back into a composition for eight pianos, he turns the sounds of the damaged records into the matrix for a new work. 180° applies the same process used in Piano orbital to cinematic conventions and involves visual as well as aural rotations. A pianist (David Kaplan) suspended in midair, faithfully, but with great physical and mental effort, executes the score at what we presume to be a 180° rotation. 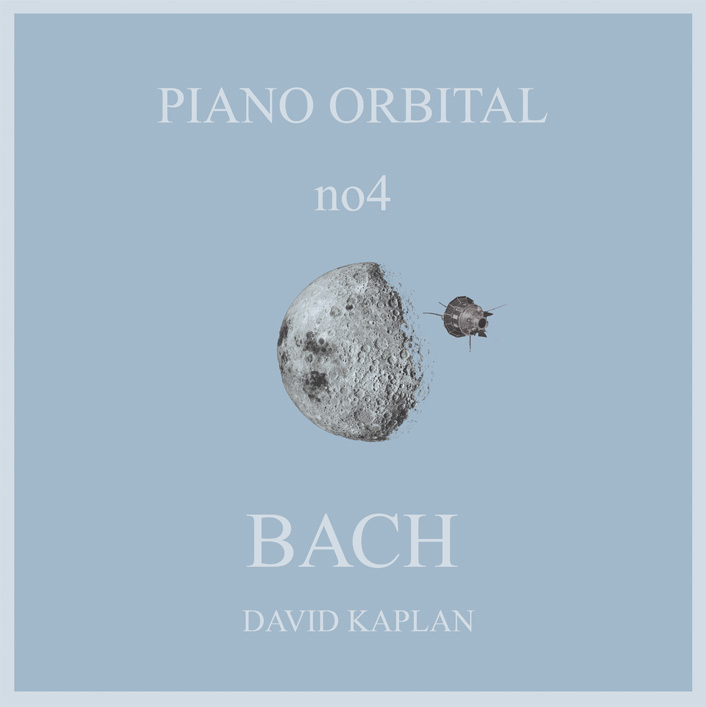 The four Piano orbital sound pieces and the film 180° are part of a nexus of works involving the rotation, transcription and execution of scores by Bach, Debussy, Ravel and Lekeu at 90, 180, 270 and 360 degrees. 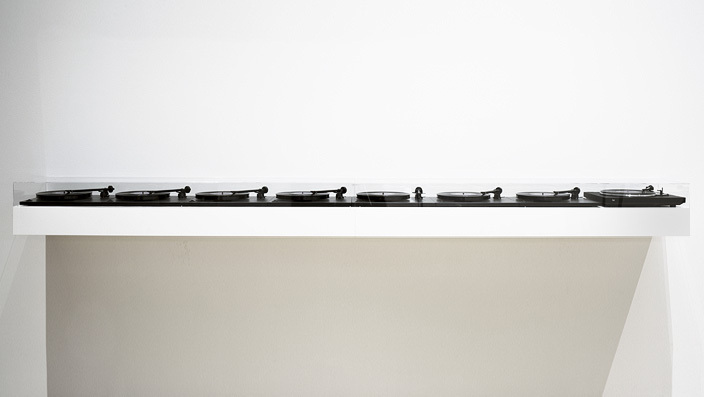 A metronome and a turntable: the first slowed down to thirty-three beats per minute, the other spinning at thirty-three and a third revolutions per minute. While Lost in Time 33 ? 66 attempts to merge the two in a uniform, synchronized rhythm, they are doomed to gradually diverge from each other until they ultimately complement each other and reach 66 beats.